The ANS Gspa F is a stunning fiberglass pedicure spa that features a beautiful, all-white basin and an elegant glass sink bowl. 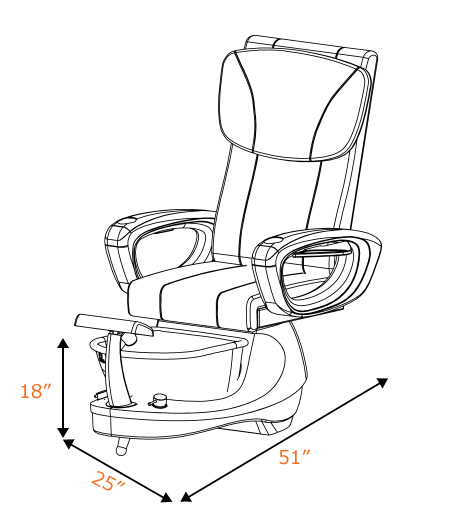 The ANS Gspa F features an adjustable footrest, polished chrome hardware, stainless steel shower hose, built-in LED color therapy light, FREE matching pedicure stool. 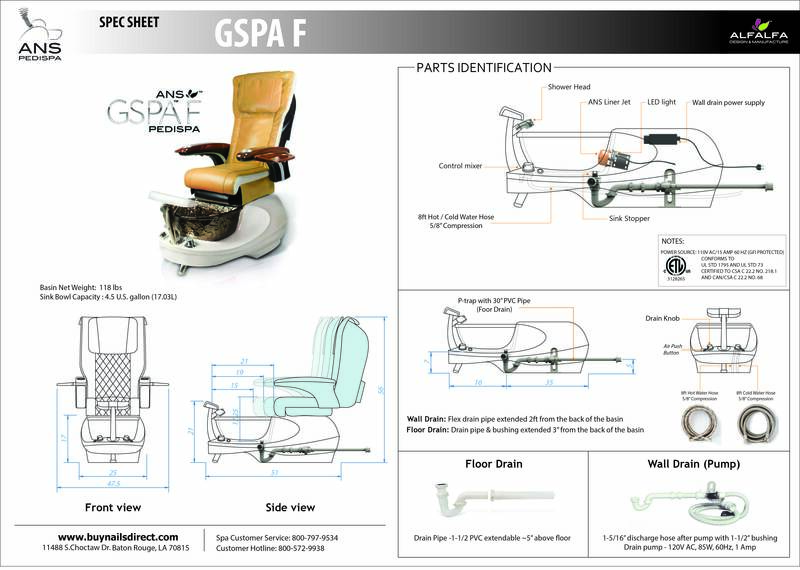 The ANS Gspa F also includes a premium massage chair of your choice.